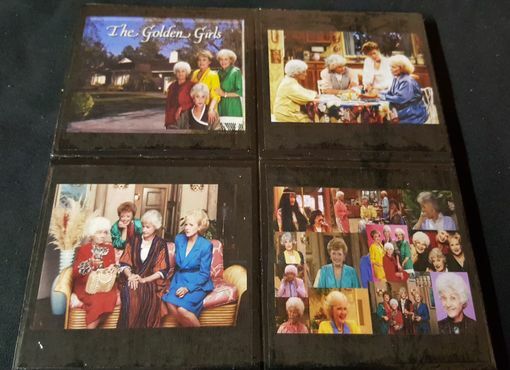 Golden Girls Ceramic Tile Drink Coaster Set. All coasters are sealed with a poly-Acrylic so that they are water resistant. The backs of all coasters are covered with cork so that they will not slide or scratch the table surface. Coasters are not dishwasher safe but can be cleaned easily with a damp cloth.